In 1996 a splendid series of Roman mosaic floors was accidentally discovered during local road works in Lod, Israel (Lydda in the Ancient World). They were reburied after some conservation until final excavation in 2009 by the Israel Antiquities Authority. The largest and most elaborate of these was displayed at Waddesdon Manor in 2014, having toured a number of venues in the US and Europe. Found in the remains of what was probably a large villa, the main mosaic panel measures roughly eight metres in length and is in three sections. 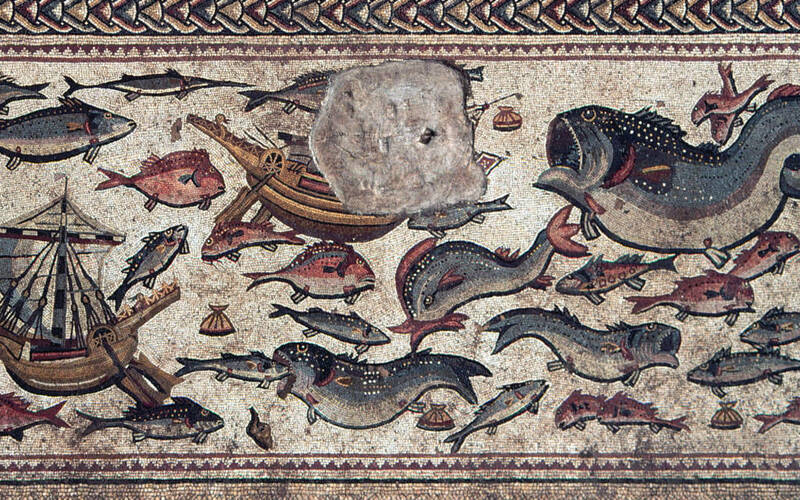 It demonstrates fine workmanship, with beautiful border designs and images of exotic wild animals from across the Roman Empire, such as lions, elephants and giraffes, as well as various local fish in an elaborate marine scene. Dated to around 300 AD, it is enigmatic not only because it juxtaposes animal hunting scenes with a marine scene, but also because no human figures or deities are displayed. The owner of the villa is unknown, but they would have been wealthy to have afforded such a grand floor. Lod is near the eastern coastline of the Mediterranean Sea and was at times an important centre for industry and scholarly activity in Judea. It is mentioned in the Old Testament as one of the sites to which deported Jews returned after the Babylonian exile during the 6thcentury BC, and it was subsequently a predominantly Jewish settlement from the 5thcentury BC onwards. The city was razed in 66 AD by Cestius Gallus at the beginning of the First Jewish-Roman war, but after the fall of Jerusalem in 70 AD it became an important centre for rabbinical teaching. Following the Roman conquests there was gradually a greater religious and cultural mix in the region, and by 200 AD the majority of Lod’s (now named Diospolis) residents were Christian. It was the birthplace and resting place of St George who was buried in the city in 303 AD, around the time of the mosaic’s production. 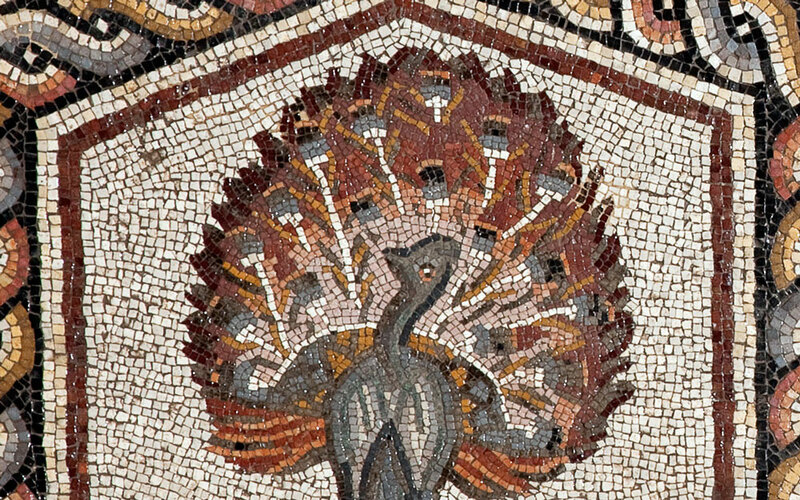 The religious diversity of Jews, Christians and pagans in the city is reflected by the fact that we do not know the religion of the mosaic’s owner. The site of Lod has been consistently occupied since antiquity, resulting in limited archaeological activity. As a result, the discovery of the Lod mosaic is all the more exceptional and it not only gives some insight into the importance of the Roman city, but is also a suggestion of what other treasures may remain hidden beneath its streets. This extraordinary piece of Roman craftsmanship is exhibited in full along with other conserved layers from the excavation, including footprints left by those who laid the mosaic that have been preserved in the mortar for over 1,700 years. Contemporary and contextual objects from the Middle East, kindly lent by the British Museum, is displayed with the mosaic to illuminate its wider background. Part of the exhibition highlights the historical involvement of the Rothschild family in archaeological projects in the region using material from the archive and collection at Waddesdon. 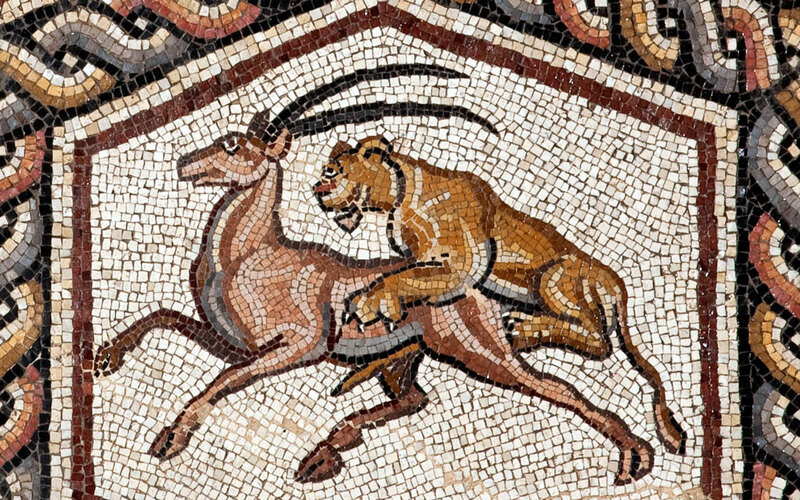 Since 2012 the mosaic has been displayed at the Metropolitan Museum of Art, New York, the Legion of Honor Museum in San Francisco, the Field Museum in Chicago, the Columbus Ohio Museum of Art, the University of Pennsylvania Museum. In Europe it has been shown at the Louvre Museum, Paris and the Altes Museum in Berlin. The exhibition at Waddesdon is the only opportunity for the British public to see the mosaic. It will then travel to St Petersburg before it returns to Israel, where it will be housed in a newly-constructed museum, the Shelby White and Leon Levy Lod Mosaic Archaeological Center.